For most retailers, the best way to showcase products is by using genuine daylight. Unfortunately, that�s not always possible. However, LED lights can closely approximate daylight and make it easier on your shop�s guests to make the right decisions. Researchers have conducted countless studies on light temperatures and color rendering indices, and they�ve found ample evidence that suggests that visual appeal depends on both. Color temperature matters, but researches at the Lighting Research Center of Rensselaer Polytechnic Institute found that there are trade-offs with each end of the spectrum. While red captures shoppers� attention best, it has less visual appeal and inhibits shoppers from seeing clearly. Blue is also better at capturing attention than white is, but like red, it prevents people from seeing products clearly. Color rendering index appears to matter even more than temperature. CRI is a measurement of the way human eyes perceive the true color of an object, and it�s measured on a scale of 1 to 100. Color rendering index has nothing to do with color temperature. A higher CRI means people have a better ability to discern a product�s color, and in retail settings, you need a bulb that lets people choose based on what they experience. 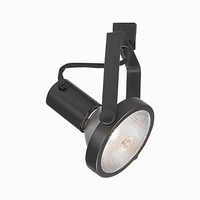 Using high-CRI bulbs has another distinct advantage, too: they�re usually perceived as brighter than they really are. That can lead to cost savings because it allows retailers to install lower-wattage bulbs and save energy. While the type of light, its color temperature and its CRI are all very important, many store owners overlook the fact that maintaining control over where the light goes is essential to a successful lighting scheme. 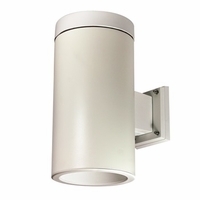 Parabolic aluminized reflectors, or PAR lamps, help control light more precisely than standard bulbs do. Naturally, LED lights are the way to go to save energy. 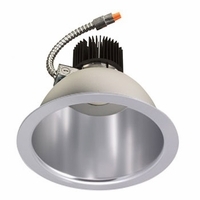 However, in most retail applications PAR bulbs will outperform ordinary recessed LEDs or free-hanging bulbs. That�s because you don�t need high-power ambient lighting to showcase your products. Instead you can use PARs to carefully focus ample amounts of light to illuminate clothing racks, jewelry cases and other product displays while allowing other less powerful fixtures to tackle general ambient lighting. Retail Lighting: Is Energy Efficiency a Concern? With any business, it�s important to minimize costs where you can and make the most out of what you have. Using LED bulbs, particularly those equipped with parabolic aluminized reflectors, can help you cut costs without sacrificing your customers� experiences. LEDs are far more energy efficient than incandescent or fluorescent bulbs are, and they�re made to last longer. A standard LED can give you as much as 100,000 hours of operation (that�s 4,166 days of 24-hour lighting) without flickering, fading or burning out. You could light your retail store for more than 11 years with the same bulb. While the right lighting is essential in clothing stores, art galleries and other shops that require a high level of color discernment, some retail settings require special attention when it comes to lights. Jewelry stores, furniture stores, and shops that sell food need entirely different lighting schemes. Jewelry stores. Jewelry stores require ordinary overhead lights and cabinet lights. In most cases, both above-cabinet and in-cabinet lights are necessary. The problem jewelry store owners face is creating a lighting scheme that doesn�t allow shadows to overtake their high-end products; this issue is particularly prevalent when potential buyers lean over a case. In-cabinet lighting provides the needed shadow-free sparkle to showcase the jewelry. When a customer asks to see a piece of jewelry, he or she will examine it above the case (that�s why above-cabinet lights are so important). Naturally, you need lighting through the rest of the store as well. Furniture stores. Your furniture store needs to convey many messages through its lighting. You need to highlight your furniture displays, ensure that buyers can see the fabric colors and textures, and leave an impression on your customers. What�s most important for you is color temperature and CRI, because these two factors can actually affect whether you make sales or send people to the furniture store up the street. Food stores. Few things are more important in a grocery or food store than color rendering index. Yes, you want your shop to be bright; however, you want to show off the vibrant colors of fruit, the decorative product packaging and other colors accurately. Who�s going to buy purple strawberries? Nobody, because they look like they�re about to turn; that�s what cool lights will give you. Will you have customers lining up to purchase brownish-yellow cucumbers? Certainly not, but that�s what warm lights will do to fresh, green veggies. High CRI lamps and fixtures will allow you to have bright, crisp lighting with highly accurate (and appetizing) color representations. Look for a CRI over 90. While repeat business hinges on whether you sell quality products, you need to score first-time business before you can worry about subsequent sales. The wrong lighting scheme can send shoppers into your competitors� stores without even considering a purchase from you, so it�s incredibly important that you know what you�re doing before you flip the switch. Contact us today and let us assemble a custom quote for energy efficient LED lighting fixtures for your retail project.